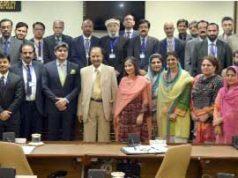 An International Conference on News Agencies was organised by the Associated Press of Pakistan (APP) during the week. Minister for Defence and Foreign Affairs Khurram Dastgir while addressing the conference saluted the courage of Pakistani journalists who continued working in very difficult circumstances in the recent years and exercised the freedom of speech. About transformation of the media after the advent of social media, the minister said that there was a time when the traditional media was dominant and now the social media had been slowly gobbling it. “We have to guard against fake news as the media is in the relentless pursuit of breaking news. Faith of public in the news reporting by media has eroded. We are consumed with news coming from different platforms,” he added. Popular musicians and folk performers mesmerized the audience with their enthralling performance in a cultural show organized by Associated Press of Pakistan (APP) in honour of the delegates of two-day International Conference of News Agencies (ICNA) to inform them about the rich cultural and traditional values of Pakistan. After tiresome deliberation during last two days of the conference, the colorful cultural show with various unique performances of artists fascinated the foreign guests and local spectators, who responded with applause and appreciation. Cultural dances of different parts of Pakistan in colorful dresses were presented by the artists, which was highly appreciated by the guests from various countries including China, Indonesia, Azerbaijan, Iran, Romania, Oman, Bulgaria, Turkey, Lebanon, Sudan, Syria and Tunisia. Just talk of Lava Dance, Punjabi or Sindhi Dance or the traditional dance of Northern Areas, each segment was telling the tale of rich culture of various regions of the country. All of them marvelously manifested Pakistani culture and traditions for the amusement and knowledge of the foreign delegates. No matter if it was violin playing by renowned and legendary musician Ustad Saen Raees Ahmad Khan or dancing fingers of Salman Adil on flute, each segment was fully enjoyed by the participants. Fusion of Eastern and Western music by Saen Raees was a unique performance as melodies of Salman’s flute took the audience to the heights of pleasure. At a performance where we have fusion of all regions, if we do not have Dhol (Drum) from Punjab and Rabab from Khyber Pakhtunkhwa, then the performance remain tasteless. So, dancing on his feet with hands beating the drum, Dedar Hussain presented a captivating performance to enthrall the spectators. The melodious tunes of Rabab by Zafar Ali, the artist coming a long way from Khyber Pakhtunkhwa was another addition to the program tastefully designed by the organizers to give a pleasant send up to delegates after two days brain storming on role of news agencies. Towards the end, the Managing Director APP, Masood Malik thanked the organizers for the untiring efforts to make the conference a success and distributed shields among them. 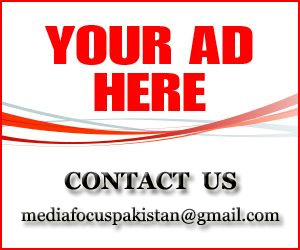 Federal Minister for Information and Broadcasting, Ms. Marriyum Aurangzeb said that details of government advertisements in the media are being uploaded on the concerned website. 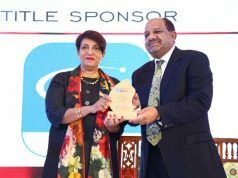 Addressing a conference of All Pakistan Newspapers Society (APNS) during the week, she said that transparency has been ensured in the quota of advertisements in regional newspapers. The Minister said that the quota of advertisements in regional newspapers has been prepared afresh. She said that there are many misunderstandings about advertisements, which need to be removed. She further said that there should be harmony between APNS and Central Media List. Minister for Education Engr Muhammad Baligh ur Rehman has said that Non-Formal Education (NFE) is need of the hour and the best way to achieve maximum literacy rate across the country in present circumstances. He expressed these views while addressing the opening ceremony of Pakistan’s first National Training Institute (NTI) for Literacy and Non-Formal Education (NFE) established by National Commission for Human Development (NCHD) for the training of community school’s teachers. The institute would help teachers in capacity building through training, development of teaching – learning materials, research and development, assessment, certification, accreditation and data base. Currently the training project has been initiated in a rented building with the cooperation of UNESCO and JICA. He said that under the constitution of Pakistan free and access to education is the responsibility of every government but presently it is a major challenge among others. Therefore, he said that community school system is best solution to provide free and access to education. He said that per student cost in formal education system is around three thousands per month while this cost in NCHD non-formal education centers is Rs only 400. Around six million children have been enrolled in schools for last five years while the number has also been decreased of those children who were leaving the schools, he added.